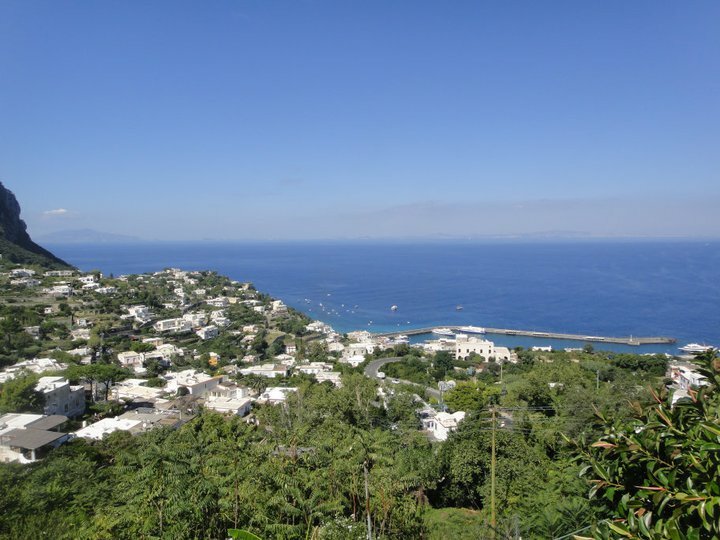 Locals in Capri and Sorrento sure know what living on the coast is about… with amazing views each island has of each other, to Mt. Vesuvius in the background, and the warm sun filling the crevices of the small, winding Roman roads, the two islands area a must to visit. My time spent in both wasn’t much, but from what I experienced, I’m dying to go back. 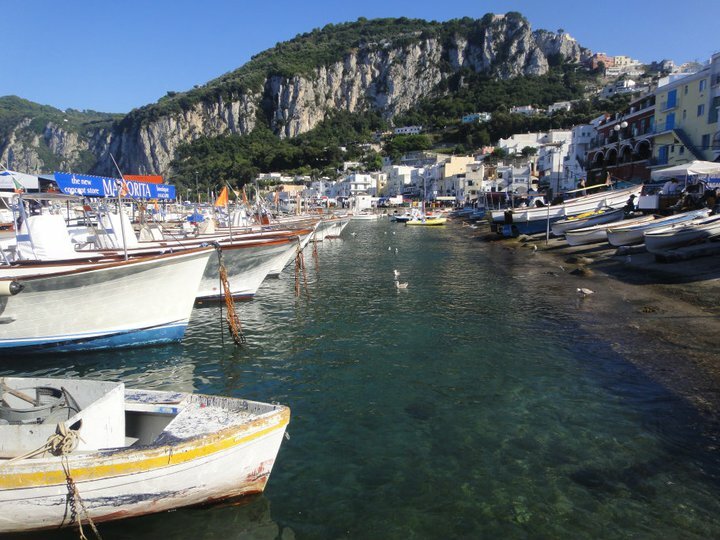 First and foremost: Capri has the cutest little harbor, EVER. I am such a nut when it comes to harbors and sailboats. I just love ’em. Not quite sure why, but something about seeing a bunch of sailboats bobbing in the ocean just makes my heart happy. 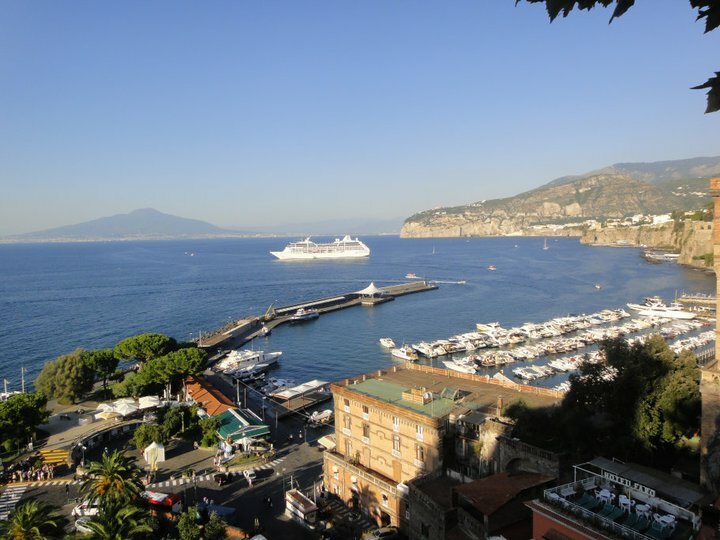 The adorable little harbor called Marina Grande, or the ” Big Harbor,” is actually in reality not big, but it does have a pretty cool history behind it, as Roman Emperors such as Augustus have docked their boats in it. 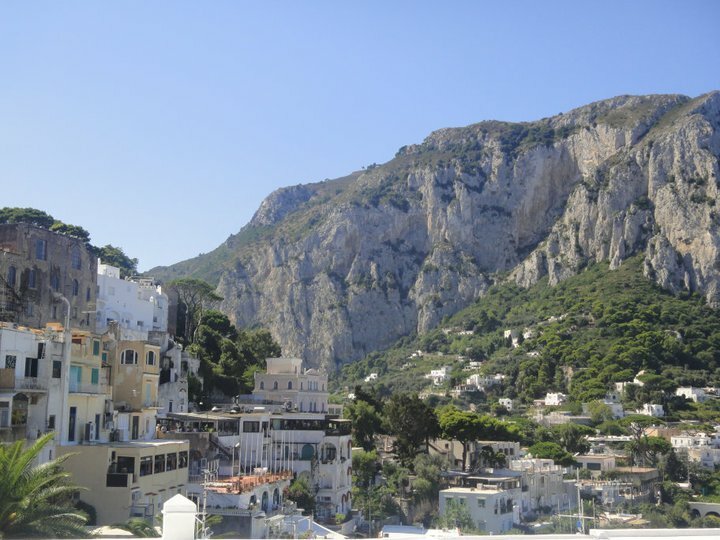 Capri, a Roman town built on limestone and surrounded by rugged cliffs on the Tyrrhenian sea, boasts stunning views, sensibly priced three course lunches and pretty expensive dinners. 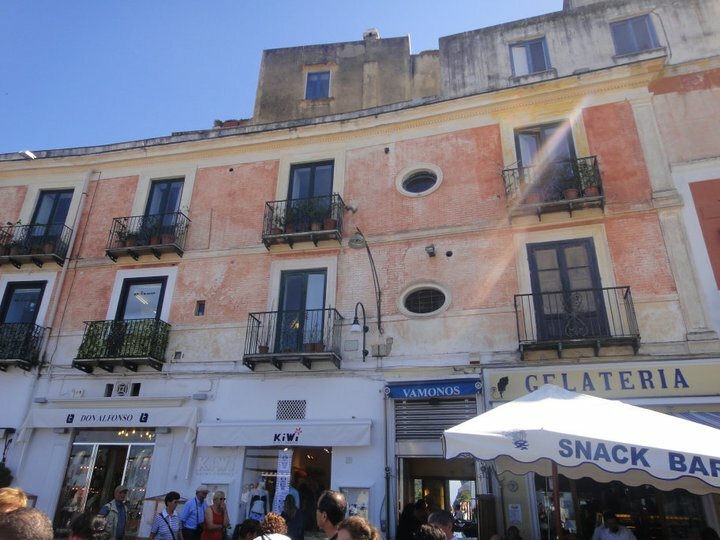 For just a few euros, you can get a ticket and take the funicular up the hill, browse designer boutiques and eat your way through amazing Italian cuisine. 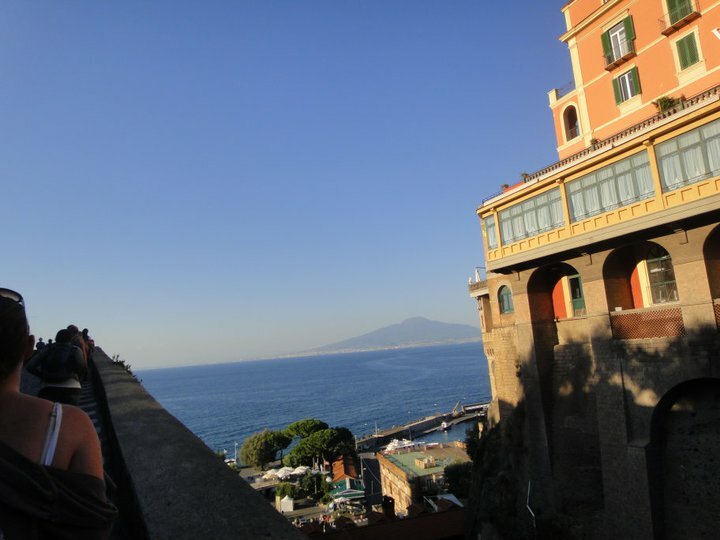 I found a great restaurant, Longano da Tarantino, that overlooked the sea, high on top of the mountain. 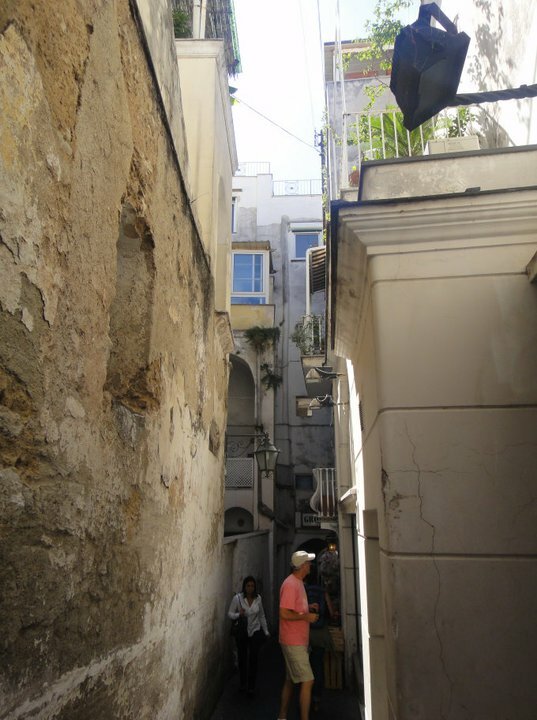 It was by chance that I found it, as the streets are narrow mazes of a beautiful mess. 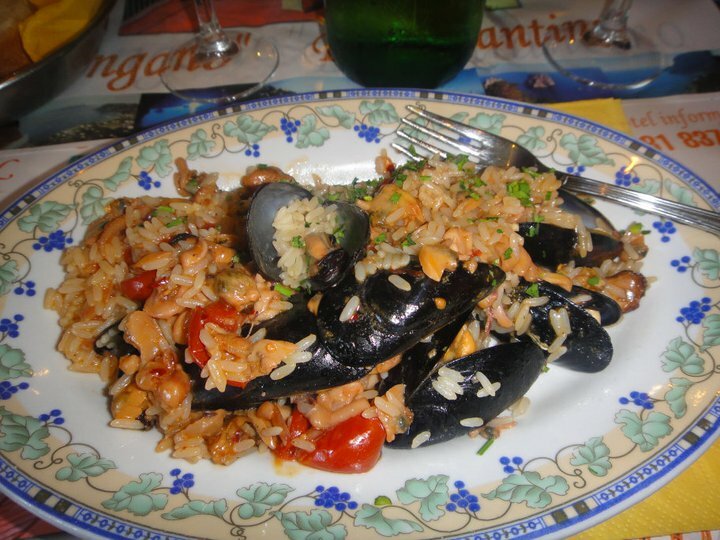 The three course lunch was about €15, and was composed of: calamari, seafood risotto and a huge steak. It was crazy good; possibly the best and most fresh seafood I have ever had and the price was perfect. Apparently there are some cool Roman remains in Capri, but I didn’t see them. Another one I missed was visiting the Blue Grotto, which is a great little cave that turns a magical blue hue from the angle of the sunlight that enters it. You must take a row-boat to reach it, and mark my words: I WILL GO one day. After a few hours in Capri, I caught a very short ferry ride over to Sorrento, and was able to get a great view of the sunset from high above the sea. 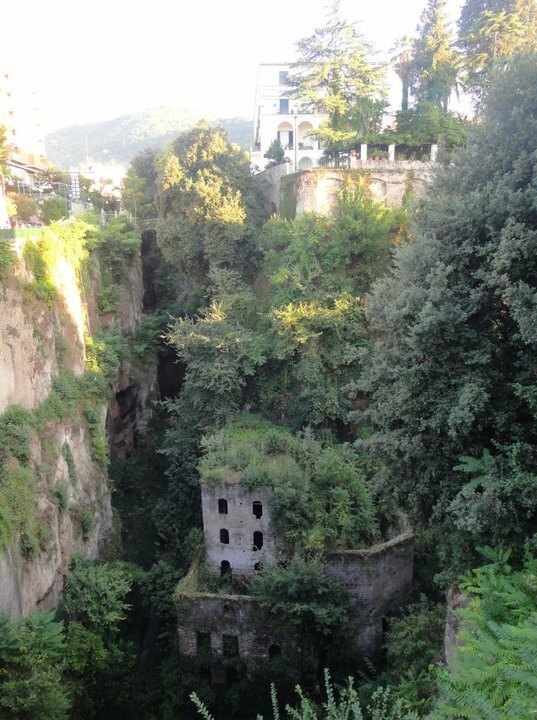 Sorrento has the BEST lookin’ limestone cliffs I’ve ever seen. 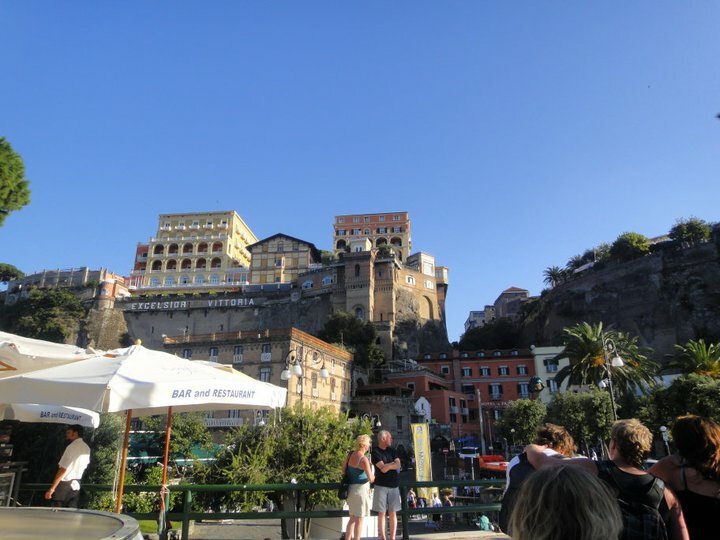 The long, and I mean LONG walk up the hill into the city of Sorrento nearly killed me in the scorching heat. I had never been more aware before that my heart could actually beat that hard without throwing me into a massive heart attack on the spot. It could have been because my little legs couldn’t keep up with the pace of my friends, so I over compensated by walking extremely fast (nearly running) just to keep up, or it was because of all the bacon I eat. Not sure. Whether you visit the islands in hopes to shop, take in the scenery, fatten yourself up on pasta and seafood or to search for sea-dwelling creatures, I can guarantee you will not be disappointed. Just stay away from any gorgeous chicks singing to you…..
Three of your steps equal one of mine! And only when I’m walking at an absurd fast pace!